At the heart of any great creative brief is a powerful communications challenge that anchors the strategy and is the springboard for a creative leap and hopefully a transformative idea. All decent agencies around the world have caught on to the fact that modern marketing is about ‘doing, not saying’ and this is reflected in their creative briefing formats. DDB have their new ‘behaviour change’ brief, Crispins brief is centred around the key ‘Question’ that needs to be answered, BBDO have their ‘get-who-to-by’ brief and Saatchi & Saatchi have their ‘Objective-issue-insight-challenge’ format. I’m sure there are many other great formats. No matter which way you cut it, at the heart of the brief there should always be a statement of transformation of consumer/brand behaviour. And compared to the old days, it must move beyond brand perception shift. When crafting a creative brief/strategy, many planners think they’ve got a juicy creative challenge but in reality they’ve reworded an objective with some marketing fluff – the result here is creatives saying ‘your brief is crap’. So, if you’re starting your challenge with words like – To communicate, To say, To tell, To convince… you’re heading into messaging world. Below are some thoughts on a Challenge vs an Objective. To inspire Australians to ask more questions using their most natural searching tool…their voice. Last week I was invited by Nielsen to present at the inaugural Consumer 360 conference in Jakarta Indonesia. I presented on one of my favourite topics: Generation C. Many of you may have read some of my other posts and presentations on how the ‘Connected Collective’ are interacting with brands and each other via social media, but If you haven’t, here are the key points from my presentation from the Nielsen press release. Just who, or what is Gen C? This question, posed by Mr. Dan Pankraz speaking at Nielsen’s inaugural Consumer 360 Conference in Jakarta Indonesia (19 October 2010), drew curious looks or blank faces among the participants. Mr. Pankraz also highlighted the need for companies to understand and engage Gen C, a group he believes to be the most highly influential in the world due to their need to share their lives via social media platforms. Unlike Gen Y or Gen Z, Gen C is not an age cohort. “Gen C are teens and the 20-somethings who have been ‘hatched’ out of social media. They could be 9 or 39. What ‘C’ stands for has been widely debated: a few years ago it was about Generation CONTENT…now it’s a multitude of things…it’s about constant connectivity, collaboration, change, co-creation, chameleons, cyborgs, curiosity. But most of all, Gen C are ‘The Connected Collective’,” Mr. Pankraz explained. “Gen C is not a target audience but a community of digital natives that want to collaborate with brands, they want to be involved in the brand story. The yare already co-creating content for brands as we speak,” said Mr. Pankraz. To be successful in marketing to Gen C, brands must create fresh, cultural capital for Gen C to talk about, a process which also gives them “status” within their tribes and social networks. Tribal behaviour: To have a better chance of reaching Gen C, brands need to get into conversations that are happening within and across tribes. Like many youths, Gen C form their identities by belonging and expressing themselves within “tribes” reflecting the desire to “connect” around interesting ideas, cultural objects, causes and movements. Opinions from within tribes have more credibility and get more attention compared to external sources. Bee-like swarm behaviour: Powered by social media platforms, Gen C members mobilize as one with their tribes like bees, around topics that interest them. Marketers who want to influence them effectively must talk to “we”, not “me”. “How are you creating a conversation for the swarm to run with?” Mr. Pankraz asked. When it comes to buying decisions, 85% of youths rely on peer approvals. Everything is reviewed and rated, making decision-making a team sport. Marketing successfully to this group therefore also becomes all about “talking to the community, not the individual”. 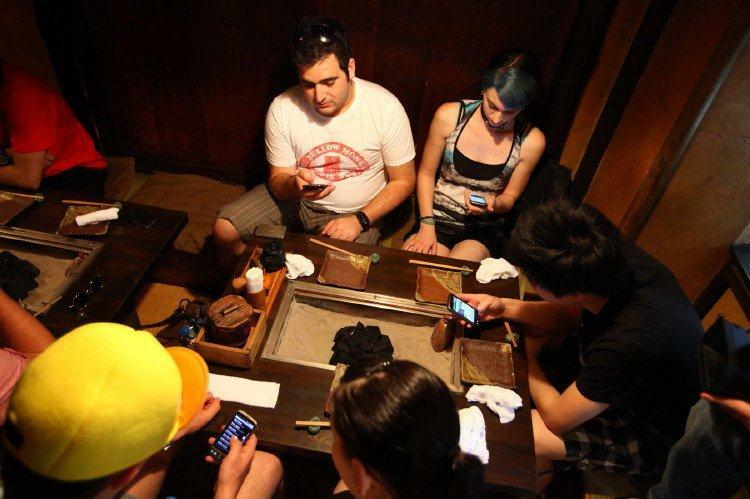 Social oxygen: More than any other “generations”, Gen C thrives on constant connectivity via social media platforms. Their mobile devices therefore become their “social oxygen”, enabling to connect, create and share opinions and thoughts with their tribes. “The mobile phone acts as their lifeline to the world but interestingly they also use it as a social shield to protect them from people they don’t want to hang out with,” Mr. Pankraz noted. Continuous partial attention: Teens today consume 13 hours of content daily and have constant exposure to new ‘news’. As experts at managing content and information, they engage in never-ending conversations, constantly “livestreaming” their experiences to the world. Chameleons: Social media platforms has created a new tribal behaviour amongst Gen C, they are “chameleons”, constantly changing and morphing their identities to simultaneously belong to as many different tribes as possible. One-dimensionality is not an option for Gen C.
Co-creators: The social web has brought out Gen C’s creativity, leading to what Mr. Pankraz calls the “democratisation of creativity”. They no longer consume ideas, but actively participate, play and collaborate. They demand to be part of the brand story. The three mini webisodes from our Telstra Sushi Plane experience in Tokyo. Young people outwardly like to see themselves as individuals, however we all know that ‘belonging’ to a tribe or subculture, or indeed belonging to many at one time – is the key way young people create their identity. Today, young people are more than just connected, they are hyper connected on a digital planet. They can all control, create and distribute content. They can all have their opinion spread, shared and discussed. They now have remarkable influence over brands. Today, YOUNG PEOPLE ARE THE MEDIA and brands need to respect their social influence. They’re evolved to copy and now brand decision making very much happens amongst the ‘swarm’ within social networks. Gen C prefer brands they hear about from friends or social networks. Their constant exposure to status updates occur independent of face to face interaction. The rapid fire nature of these updates, provides almost constant exposure to new ‘news’. Their response is to filter the information they receive, and prioritise what they pay attention to – what matter to them. They start to prioritise ‘my world’ over ‘the world’. ‘My World’ is a representation of who I am, and also adds meaning to my life by connecting ‘Me’ to the things I care about or want. ‘The World’ is everything outside of ‘My World’ that does not have immediate meaning to ‘Me’. The vast majority of advertising operates in ‘The World’. I gain and maintain credibility in my friends worlds’ by expressing opinions, sharing ideas, observations and thoughts. ‘My’ influence within my friends world is based on what I share, and how frequently. The new youth mantra is ‘I share, therefore I am’. Gen C ‘The Connected Collective’ rely on social networks to ‘protect’ themselves from info overload. As a result, info that comes to ‘Me’ through ‘My World’ will be prioritised, receive more attention and go ‘viral’ so to speak. Brands today looking to engage Gen C have to create content that has ‘conversational capital’. Content that is relevant, useful and entertaining. Content they can actively spread through ‘My World’. That content could be anything from film, to games to online experiences to applications and utilities. Content that begs a reaction and has a fun social interface. Content that connects them with each other, not just with a brand. Content that they can participate in, play with or produce themselves and pass on. Content which enhances their social status within ‘My World’ and says something about who they are and which tribe they belong to. Big thanks to my old DDB colleague, PC (now Digital Planning Director at Saatchi & Saatchi Auckland) who authored the descriptions and insights above on ‘Me, My World, The World’ from a DDB Yellow Paper he co wrote with Brent Annells earlier this year.